Deconstructing the tolerance paradox: why Conservatives’ go-to line is garbage. 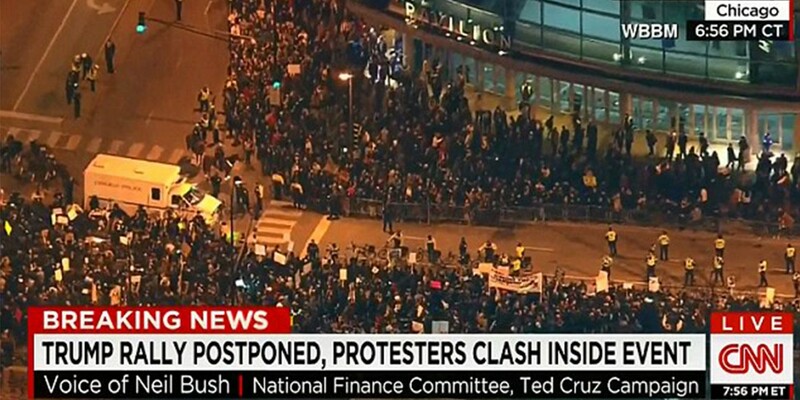 Last night, Donald Trump cancelled his Chicago rally after protesters showed up en masse to, well, protest. Now, first off, it should be said that Trump’s official reason for cancelling the rally appears to be a lie (he didn’t meet with law enforcement until after he decided to cancel, and they never advised him to do so). Second, it made reading Twitter last night really interesting. See, my social anxiety prevents me from joining in protests, so I do what I can: I watch from the sidelines in awe of those doing such great work. In response to the protests, I saw two memes arise from the conservative side of the Twitter conversation. I’d like to tackle those. 1. Not tolerating intolerance is in itself intolerance. This demand that tolerance of intolerance be afforded in all situations is known as the paradox of tolerance. In Karl Popper’s 1945 “The Open Societies and Its Enemies,” the philosopher prescribes a course of action to take in situations where people urge us to tolerate intolerance: don’t. In other words, if a demand for unlimited tolerance suggests that we need to tolerate the most awful ideas and acts that occur within society (specifically, those that oppress others), we’re providing a tacit endorsement of those policies. 2. Trump’s “free speech” was violated. Tempting as it may be to call an event Trump cancelled a violation of free speech, it simply isn’t. In reality, protesters were exercising their own free speech. Nobody stopped Trump’s brigade of modern fascists from expressing free speech. Nobody stopped Trump’s own free speech. But according to the man who wants to “open up our libel laws” and effectively dismantle the First Amendment, his Constitutionally-protected rights had been violated. Now, of course, given that the people protesting were not the government, they didn’t interfere with anybody’s rights. 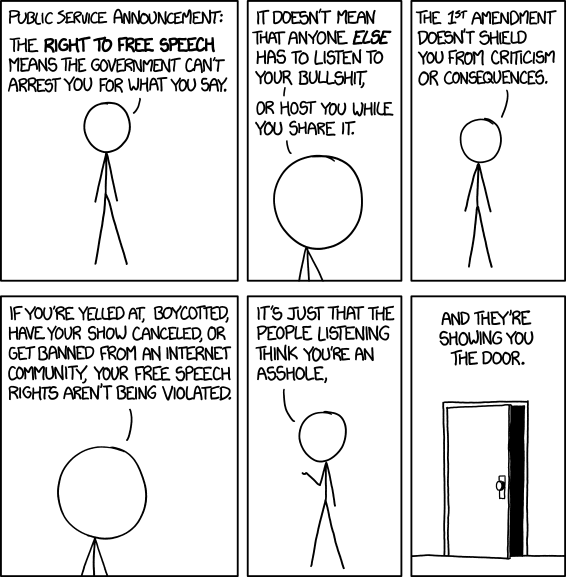 In fact, the right to speak up in dissent is part of what makes the First Amendment so important. It’s sad that a man who wants to run the country can’t grasp these 9th grade level civics lesson. Hope that clears it up fer ya. Professional storyteller-human. @Upworthy Writer-person. Word-stuff. Opinions my own (and probably wrong).